Leave the station and turn right, go past the Tesco store and continue to the roundabout. Bear left at the roundabout and continue along the High Street. 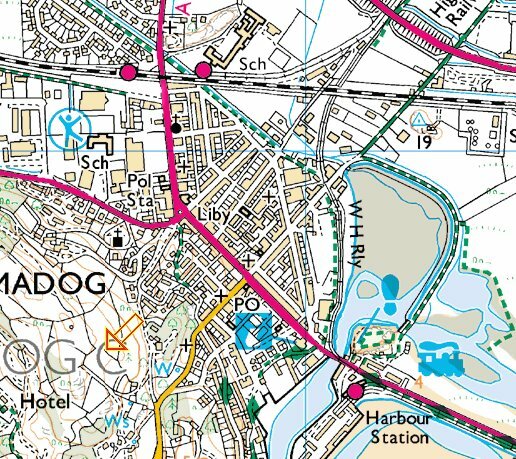 Harbour station is on the right just after the bridge over the Afon Glaslyn. The walking time is approximately 20 minutes. There are several cafes and take-aways along the route.